List Rules Vote up the most breathtaking and cool-looking sea caves from anywhere on earth. If you're the kind of person who loves to travel, or just enjoys stalking travel bloggers to explore the world from your desk, you know mother nature is freaking fantastic. From the magnificence of the mountains, lush forests, to the exquisiteness of exotic beaches and underwater wonders. Pretty awesome, right? Most people would agree, without even taking into account this less-famous but still gorgeous formation: beautiful sea caves. Sea caves are products of erosion caused by wave action of the sea. They’re also products of natural beauty achieved by the unique combination of the sea’s charm and earthly minerals, sometimes added with the grandeur of a castle or some sea creature inhabitants. The world is home to countless cool sea caves that will leave you in awe just by looking at their pictures. 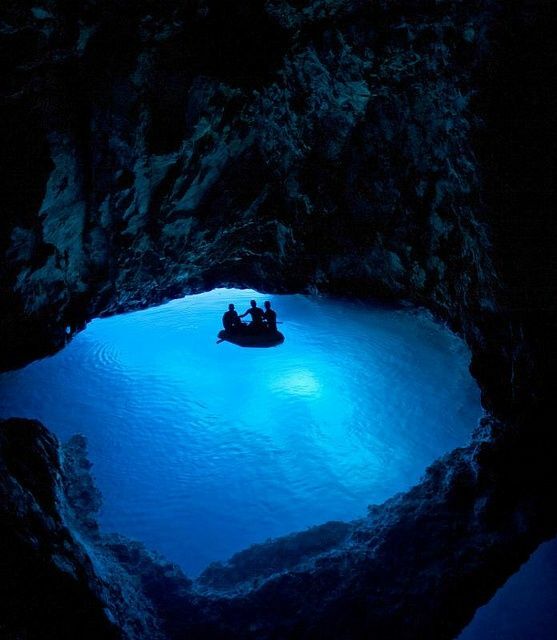 What are the most beautiful sea caves from across the globe? Add these places to your travel bucket list right away, because you won't be able to resist the beauty of these sea cave pictures.